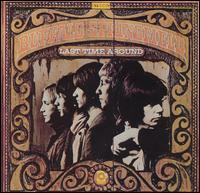 BUFFALO SPRINGFIELD: LAST TIME AROUND: 1968: 4 STARS OUT OF 5 STARS: The band had broken up but they owed the record companies another album. The original members would only record one song on this album together- On The Way Home. The most famous members of the group of course were Neil Young and Stephen Stills. Jim Messina would produce the album. The best songs were On The Way Home and I Am A Child by Neil Young. A very nice sounding album. Not a bad farewell. 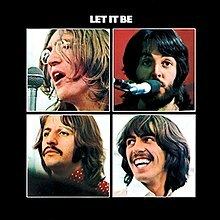 THE BEATLES: LET IT BE: 1970: 5 STARS OUT OF 5 STARS: I am writing on this album thought I’d give it a listen as I was writing.. I wonder in a couple years if Let It Be will get the big 50th anniversary treatment? I would hope so. BOB DYLAN: GREATEST HITS VOLUME 2: 1971: 5 STARS OUT OF 5 STARS: Dylan wasn’t expected to release any new material for a while so CBS wanted to release another greatest hits album and Dylan agreed to it. A double album. The first Dylan album I owned was the Greatest Hits- this was my second and probably more important to me. The greatest hits gave me an introduction to his most famous songs to that point but this which went deeper into his catalog inspired me to start buying up his catalog. VAN MORRISON: BEAUTIFUL VISION: 1982: 4 1/2 STARS OUT OF 5 STARS: I like this album a lot better than I do Van’s favorite Common One. More songs and of a reasonable length. Cleaning Windows is my favorite- others-Dweller On The Threshold, Vanlose Stairway, Celtic Ray and Across The Bridge Where Angels Dwell. THE GO-GO’S: TALK SHOW: 1984: 4 STARS OUT OF 5 STARS: The Go-Go’s released three albums in the early 80’s before disbanding- this was their final album- not counting the 2001 comeback album that I’ve never bothered with. I owned the first three. This album makes me think of one thing- running. Back then I would go for a run everyday and in spring and summer of 1984 this was an cassette that I would put into my Walkman everyday when I went running. Head Over Heals and Turn To You were Top 40 hits from the album. Turn To You was written about Dodgers pitcher Bob Welch one time boyfriend of guitarist Charlotte Caffey. Other favorites- Yes or No, Beneath The Blue Sky. A very good album to run to. I also listened to four hours of the Beatles station on Sirius/XM. Cleaning Windows off of Beautiful Vision is instantly likable unlike some of his songs that take more than one listen. Yes I recall the first time I heard that song it was an instant classic the first time- and I had to hear it again! I like the song from the same era- Wonderful Remark from The King of Comedy soundtrack. Thanks… I haven’t heard Wonderful Remark in years…I just listen to it and it came back. Sometimes I tend to concentrate more on his 70s period but I need to listen to more from the 80s again. I am up to 1983 in going over his catalog again– Inarticulate Speech of the Heart this morning! Volume 2 was my first Dylan album. Volume 1 was out of stock that day. Not a bad choice- digs deeper into the early catalog! It took longer to “get” than Vol. 1 would’ve, but it was worth it.